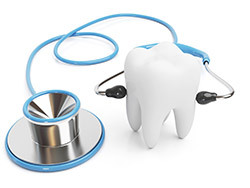 We offer same day appointment for our patients with dental emergencies. Just like a medical emergency, a dental emergency can occur at any time and without prior warning. The most common dental emergencies are dental/facial injuries and acute infections of the teeth, gums and the supporting bone. At the onset of any dental emergency, it is important that you contact our office right away so that we can evaluate your condition, repair the damages and therefore prevent future complications. Accidents do happen, and seeking treatment promptly can mean the difference between saving or losing a tooth and fixing a problem in its early stages or dealing with permanent damages in the future. So, at the onset of any dental emergency, please contact our office immediately! A knocked-out tooth can be successfully implanted back into its socket ideally within 1 hour after the accident. If the tooth has been fractured or broken, it needs to be checked by the dentist as soon as possible to evaluate the severity and extent of the damage and to determine the most effective way of treating it. Soft tissue injuries include injuries to the tongue, cheeks, gums and lips and often require cleaning of the sore spots and/or the application of stitches to promote healing.